This is an illustration I am working on as a Christmas gift- the final will be coloured in watercolours and framed. It's okay, the intended recipient does not know this blog exists. Quite likely nobody else does either. 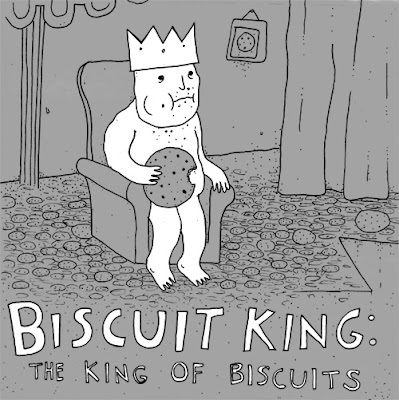 Also in the works: Biscuit King, the rhyming children's book and, eventually, Biscuit King, the motion picture. Later still: Biscuit King, the novelisation of the movie. Somebody please get me biscuits for Christmas.